Weeks after making the difficult decision to flood Snap Lake, De Beers could be sharpening the axe for more job cuts at a Canadian diamond operation. That's because a planned expansion at the Victor mine in a remote part of Ontario has been iced, following a failure to get buy-in from a nearby Aboriginal community. De Beers is looking at ways to delay closing Victor, including processing lower-grade ore, digging deeper into the pit, or entertaining buyers. The Globe and Mail reports that the world's top diamond producer by value has scrapped plans to study an expansion project at the mine, located in the James Bay lowlands, because the expansion is not supported by the Attawapiskat First Nation, located 90 kilometres east of the mine. The expansion has been in the works for at least the past two years. The open-pit Victor mine, Ontario's first diamond operation – officially opened in July 2008 – the same year that Snap Lake started production. But the mine, which produces around 600,000 carats a year, is scheduled to close in late 2018 or early 2019, hence the expansion plans. The nearby Tango deposit would have added another five or six years, but assessment work, including bulk sampling, cannot take place without the support of the Attawapiska. De Beers has been talking to the band but no progress has been made. The two parties have not enjoyed a conflict-free relationship over the past few years. The official mine opening in 2008 was picketed and in 2013 a group of residents living on the Attawapiskat reserve blockaded an ice road used to move heavy equipment and supplies to the mine. The impoverished Cree community of around 2,000 has inadequate housing and has been hit with flooding and a recent wave of suicide attempts, The Globe explained. At the time of the blockade, Attawapiskat residents said few of its members were benefiting from the mine, and wanted a review of the Impact Benefit Agreement (IBA). CBC reported that about one in five mine workers were Attawapiskat band members. Still, backing the mine expansion could have staved off worries of an all-out closure, which could happen if De Beers is not willing to foot the estimated CAD$20 million annual bill for keeping it dry with pumps. Closing it would cost the company $74 million Canadian in remediation and most of the 550 staff and contractors that currently run the mine. The Globe and Mail says De Beers is looking at ways to delay closing Victor, including processing lower-grade ore, digging deeper into the pit, or entertaining buyers. If De Beers unloads Victor, or puts it on care and maintenance, Gahcho Kue will be the company's only remaining producing Canadian asset. 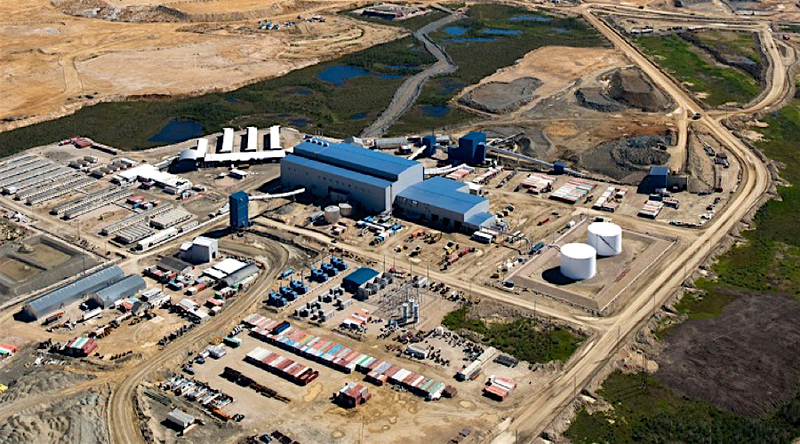 Co-owned by De Beers and Mountain Province Diamonds (TSX:MPVD), Gahcho Kue, located about 280 kilometres northeast of Yellowknife in the Northwest Territories, started operations in September.